The times they are a changing. 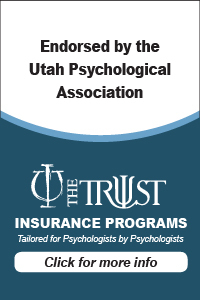 The continued dominance of managed care companies over third party reimbursement and the new uncertainty created by the Affordable Care Act in both the private and public sectors have increased the complexity of the legal and regulatory environment faced by psychologists. In this unpredictable environment, the need to avoid adverse disciplinary events remains an important priority and an active risk management strategy is still an essential element of professional practice. After a brief introduction describing The Trust’s Risk Management Philosophy and Strategy, this workshop will focus on three specific topic areas: working with couples and families, working with potentially suicidal clients, and the ethical and legal challenges of developing a professionally and personally appropriate retirement strategy. The workshop is applicable to psychologists working in all types of settings where health services are provided. Discuss The Trust Risk Management Philosophy, including strategies for identifying high risk situations and managing professional practice risks. About the Speaker: Daniel O. Taube, J.D. Daniel O. Taube earned his J.D. from Villanova University in 1985, and his Ph.D. in clinical psychology from Hahnemann University in 1987, as a member of the Hahnemann Villanova Joint Psychology and Law Graduate Program. He is a full professor at the California School of Professional Psychology, San Francisco at Alliant University, past Psy.D. program Director, founder and coordinator of the Forensic Family Child Track and member of the Child Family Track. His areas of professional focus include legal and ethical issues in professional practice, child protection, addictions, and disability and parenting. In addition to his teaching and research interests, he has been in private practice for 23 years, and has served on the APA Ethics Appeal Panel for the past 20 years. Underground Parking at the Salt Lake City Public Library.